The Salento Peninsula in southern Puglia, the heel of Italy’s boot, is a glorious place to be when the sun hits your poor head. The peninsula is known for its quality olive oil, the good and strong wine, and the km of beaches with a really transparent, clear sea. Salento also has many memorries of its glorious Greek past still present in the local language. This area has 7 towns which speak an endangered language (grico), a mixture variety between ancient Greek and local dialect (salentino). The main city is Lecce, called the “Florence of the South” (la Firenze del Sud). To visit Salento, you should start going in Lecce, the southeastern terminus for Italy’s national rail line and Brindisi Airport is an hour away. Lecce was the center of barocco leccese, the baroque type of architecture peculiar to the city. Baroque monuments are spread around in a gorgeous walking centre and all over the town; Lecce is also famous for a traditional paper mache’ crafts. Plenty of bar and restaurant will make you taste the typical cuisine of southern Puglia here and in Gallipoli, beautiful seaside town on the Salento peninsula’s east coast. The old town was built on an island! It is though connected to the mainland by a bridge with the protection of ancient medieval walls. To get lost in the maze of alleys is funny and easy as to walk out of them. The 17th century Baroque Sant’ Agata Cathedral dominate the town, while Corte Gallo is an amazing courtyard. Outside the walls the castle stands still, overlooking a lovely sandy beach, and a tourist harbor. 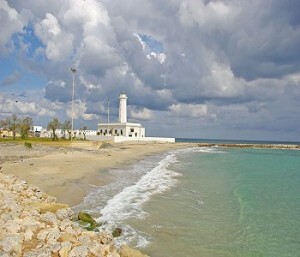 Otranto is another famous seaside town on the peninsula’s west coast. The whitewashed buildings remind of Greece, the medieval walls with the famous castle is a solid past and a touristical adventure in the Middle Age. The 11th century Cathedral enclosed in itsself the gorgeous 12th century floor mosaics and unusual chapel of skulls. Much of Salento is on the coastal sides, the beaches ovelooks Africa and the weather is fantastic! Porto Cesareo is for example on the Ionian Coast: a popular beach area with thermal springs set in a nature reserve! Porto Selvaggio also is well-known and astonishing: you can find it again in a nature reserve! This entry was posted on Sunday, June 3rd, 2012 at 5:44 pm	and is filed under Discover Italy. You can follow any responses to this entry through the RSS 2.0 feed. You can leave a response, or trackback from your own site.